Home/Where to Shop/Homes and Interiors/Crafts Alive Ltd. 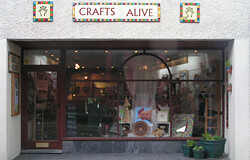 Located in Llandeilo’s Main Street, Crafts Alive is special and unique, this shop is run by and on behalf of the local craft community. 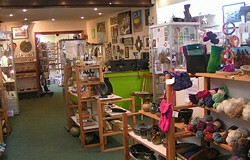 We stock only the work of artists and craft workers living and working in this area. Gallery and workshops can be found upstairs.